When writing the business plan, the operations plan section describes the physical necessities of your business's operation, such as your business's physical location, facilities, and equipment. Depending on what kind of business you'll be operating, it may also include information about inventory requirements, suppliers, and a description of the manufacturing process. Keeping focused on the bottom line will help you organize this part of the business plan; think of the operating plan as an outline of the capital and expense requirements your business will need to operate from day to day. You need to do two things for your reader of the business plan in the operations section: show what you've done so far to get your business off the ground (and that you know what else needs to be done) and demonstrate that you understand the manufacturing or delivery process of producing your product or service. Production Workflow - A high-level, step-by-step description of how your product or service will be made, identifying the problems that may occur in the production process. Follow this with a subsection titled "Risks" that outlines the potential problems that may interfere with the production process and what you're going to do to negate these risks. 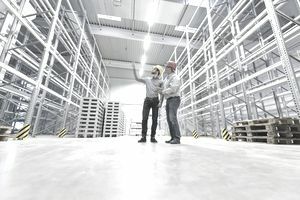 If any part of the production process can expose employees to hazards describe how employees will be properly trained in dealing with safety issues. If hazardous materials will be used described how these will be safely stored, handled, and disposed of. Industry Association Memberships - Show your awareness of your industry's local, regional, or national standards and regulations by telling which industry organizations you are already a member of and/or which organizations you plan to join and telling what steps you've taken to comply with the laws and regulations that apply to your industry. Supply Chains - An explanation who your suppliers are and their prices, terms, and conditions. Describe what alternative arrangements you have made or will make if these suppliers let you down. Quality Control - An explanation of the quality control measures that you've set up or are going to establish. For example, if you intend to pursue some form of quality control certification such as ISO 9000, describe how you will accomplish this. The physical plant: What type of premises are they and what are the size and location? If it's applicable, include drawings of the building, copies of lease agreements, and/or recent real estate appraisals. You need to show how much the land or buildings required for your business operations are worth and tell why they're important to your proposed business. Equipment: The same goes for equipment. Besides describing the equipment necessary and how much of it you need, you also need to include its worth and cost and explain any financing arrangements. Assets: Make a list of your assets, such as land, buildings, inventory, furniture, equipment, and vehicles. Include legal descriptions and the worth of each asset. Inventory: Explain how you'll keep track of inventory.